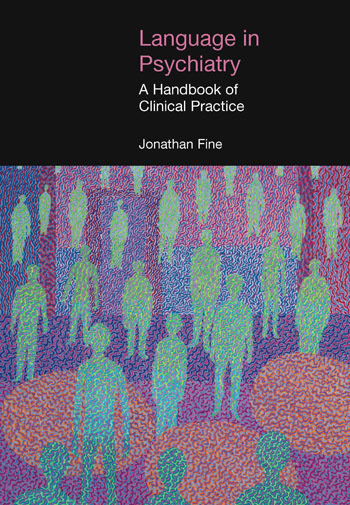 This book is designed to enable clinicians and clinicians in training to become sensitive to a range of language phenomena that are important for the diagnosis, treatment and research of psychiatric disorders. The introductory chapters assume no prior knowledge of linguistics and outline an approach to language that focuses on meaning and communication, ranging from cultural issues to syntax and intonation. The volume deals in turn with the major categories of syndromes in psychiatry which have language as an important characterizing feature. Linguistic concepts are keyed to diagnostic criteria to make the material accessible to the practitioner. For each disorder, the diagnostic criteria that are related to language are outlined in specific linguistic terms. Thus the familiar diagnostic criteria are enriched by linguistic descriptions that range from aspects of culture that constrain what can make sense in society to aspects of intonation and wording. The volume is supplemented with appendices that link the diagnostic criteria to the language features that are heard. Over 50 tables and diagrams provide summary information linking psychiatric categories, language features and language examples.